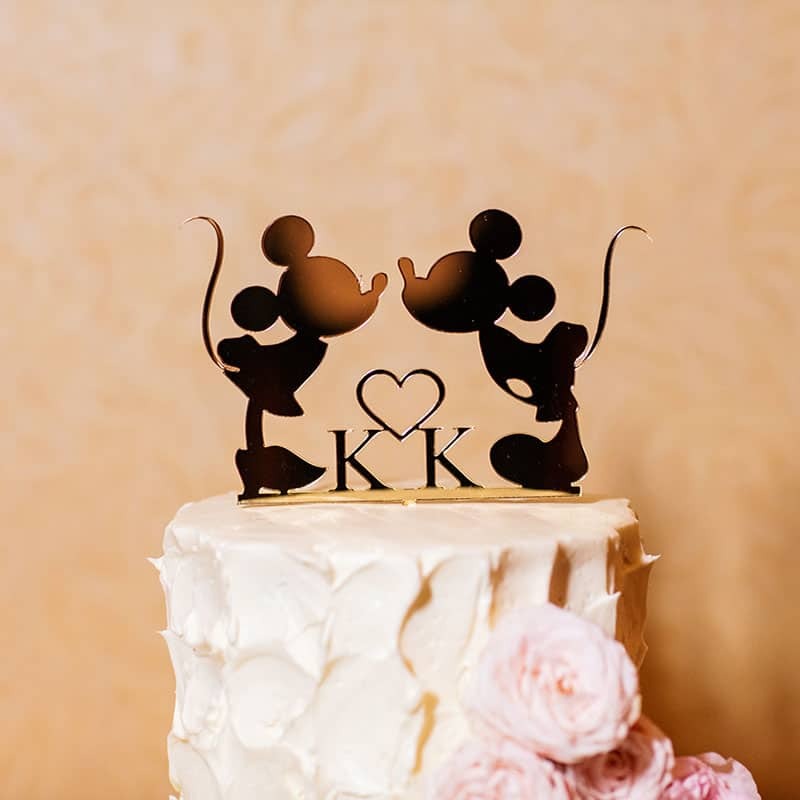 Sometimes it's nice to keep things simple. 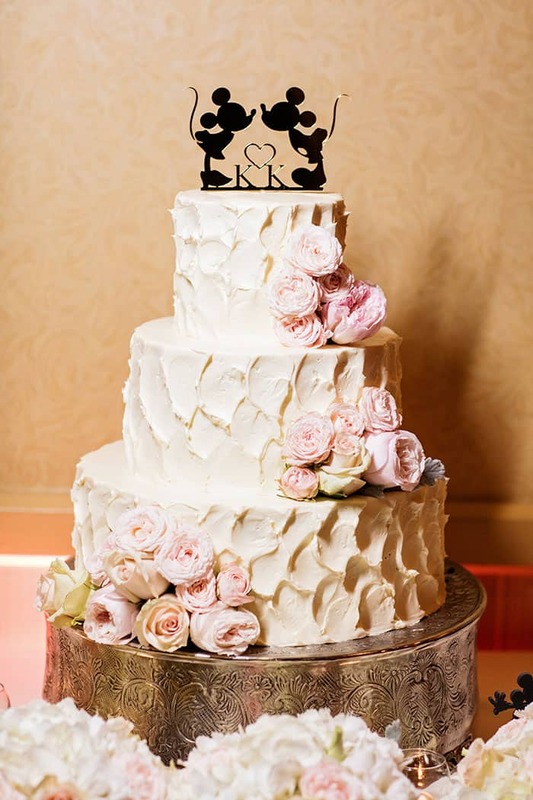 This three tier, floral wedding cake from Kai and Kristen's Disneyland reception is a beautiful example of how to make buttercream shine. 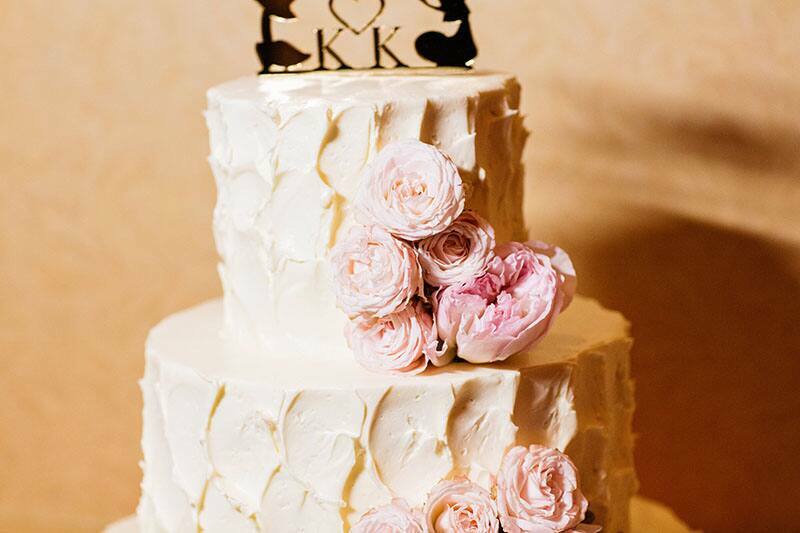 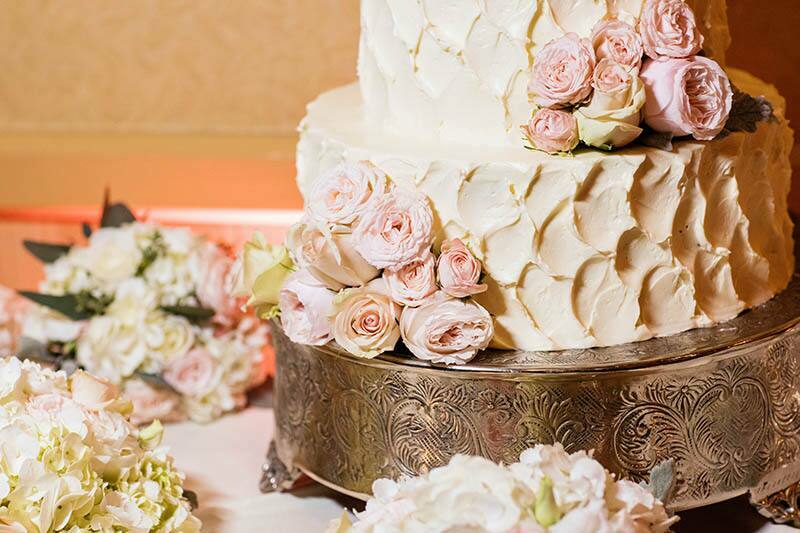 The textured look flows through every layer of the cake and the beautiful peonies and roses add a touch of whimsy elegance.